Fasting. It’s all the rage. From the 5:2 diet and intermittent to more extreme fasting methods, people are now talking about ketosis and fasting like they used to talk about sports. Even Silicon Valley entrepreneurs are talking it up. But is fasting really good for you? Science seems to have reached a consensus that fasting, done properly, is probably safe. However, safe ≠ good for you. We not only did the research for you, but we actually tried a four-day water fast and offer a detailed chronicle of that experience. Is A Water Fast Healthy For You? It might be. Research with lab animals suggests that fasting may protect against certain diseases, such as diabetes, and has the potential to delay aging. It has also been associated with lower rates of diabetes, a lower BMI, and a reduced risk of coronary artery disease . Also reported: beneficial effects for people suffering from high blood pressure, body weight, and improved rheumatoid arthritis symptoms from small studies. Still, these are only observations and not proven theses. Moreover, claims of prolonged lifespan and improved health associated with fasting have not be scientifically validated. Scientists can’t yet prove what is causing these desirable outcomes. 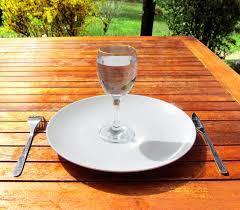 In the absence of extensive human fasting studies, scientists won’t have rock-solid data. Science may be catching up, through. Recently, in the journal Cell Metabolism , Harvard researchers report that the means by which fasting can increase lifespan is becoming understood. They suspect that it’s all about the mitochondrial networks inside our cells. Mitochondria the engines inside our cells that generate electrical pulses needed to operate. Last year a team of researchers led by Newcastle University successfully showed how mitochondria are fundamental to the aging of cells. The new research from Harvard shows how the changing shapes of mitochondrial networks can affect longevity and lifespan and, to our point, manipulates those mitochondrial networks to keep them in a “youthful” state. So there’s some hope for a proof in the near future. Apparently, hunger stimulates the body to produce new white blood cells, also known as leukocytes. These cells enable the immune system uses to fight against foreign invaders like viruses and bad bacteria. It also triggers stem cells to regenerate. A paper in the Journal of Cell Biology by Valter Longo is particularly notable. Longo documented results of depriving fuel from a colony of yeast cells. About 95% of the cells would commit suicide, using the controlled death mechanism of apoptosis — these cells would disassemble their proteins, dissolve the cell membranes, and turn themselves into food for the remaining 5%. His work shows that fasting stimulates rejuvenation of cells through a chemical “reboot”. His science helps explain some of the observed benefits from fasting that have been documented by others. Willpower – Perhaps the toughest fasting challenge. But to accomplish it is a major psychological accomplishment. Reboot – More than any other fast, it will help reboot your body and your eating mindset. It’s a great way to segue into a new eating regimen. Almost no better way to realize how little food you really need to sustain. Weight Loss – If one of your objectives is weight-loss, this calorie-free undertaking will bring you into ketosis more quickly and result in fat-burning necessary for meaningful weight loss. But the weight loss will be fleeting unless you dramatically reform your eating habits. Healing – Many net commentators indicate how some of their chronic illnesses, such as skin outbreaks, asthma, neuropathy and other conditions are either reduced or eliminated during the fasting process. Even if fasting may have health benefits, no one is going to want to do it if it is an ordeal. This made us think, if fasting has the potential to improve health, how does one fast comfortably? Is that even possible? After all, depriving the body of its needed fuel is more than likely to alarm, if not completely piss off, your body. Most of the fasters who have chronicled their experience report feeling dizzy, weak, or nauseous. Some even talk about feeling irritable or tired from lack of food, but if someone begins to feel disorientated or confused while fasting. That’s a turnoff! So we decided to conduct the toughest fast – water only – for a period of four-five days and document the experience. increase the amount of water consumed up to a week before. Avoid other beverages. drink enough, but not too much, water. And add electrolytes to your drinking water, so as not to leach important minerals from your body. Too much water is a BAD thing. We started the night before with a chicken dish with a very small amount of vegetables and no grains. The goal was to kick-start ketosis with high fat, low-carb start. Our goal is to drink 96 oz. of water each day…primarily when hungry. The fast technically starts at 6pm on Sunday night. 9:00 am: Woke up after an evening of unusually epic dreams including one about a food fight. That’s a first! Weight at 184. Feel lots of energy, thanks to protein-loaded meals for two days before beginning the fast. Took a 2 mile walk, just to get some exercise and accelerate ketosis. 12:00 pm: Some light-headedness, courtesy of the walk. No real hunger, yet. Spending the morning doing light errands with no real analytical demands. 3:00 pm: Lightheadedness continues. Slight headache starting in and stomach is beginning to rumble loudly. Still drinking water to abate the symptoms. Light 30 min. workout while watching The Leftovers. Its eerie surrealism makes my disorientation seem normal. 4:00 am: A relatively fitful but largely comfortable night. More dreams about food. Hunger pains are little more than background noise – short of tightness in my abdomen. The pain is akin to having done too many ab crunches the day before. No sign of headaches. But unable to go back to sleep, so started my day early. Weight at 182. 12 pm: Feeling a bit under-slept and foggy, but otherwise no discomfort. The two most noticeable current effects from the fast are that my extremities (feet/hands) are uncharacteristically cold and that I have noticeable fatigue (normally I’m an Ever-Ready Bunny). The hunger pains are distant and while I continue to crave food, it is a distant craving. No headaches or other body aches. Keeping busy doing light errands and Net surfing. 6:00 pm: Head is getting clearer, as if an alcoholic hangover is dissipating. Energy level is picking up a bit as well. No need for a nap today, despite getting five hours of disturbed sleep the prior night. 30 minutes on the elliptical while watching a movie felt just fine. Surprisingly, no noticeable irritation or emotional distress, as some others have reported. 9:00 pm: Wide awake and feeling quite energetic. If this is the worst of it, then only blue skies lay ahead. Don’t get to sleep until midnight. No bowel movement all day. Unusual. 4:00 am: Got about 3.5 sleep and then woke up quite energized. Weight at just under 180 lbs. Have started working and feel quite clear-headed. No noticeable hunger pains or any other side symptoms. 9:00 am: Snuck in a 90 minute nap and feel much better. Little hunger and no other issues other than notable fatigue. Could only get 15 minutes into a short elliptical workout. However, mental acuity is good and temperament undisturbed. One small bowel movement. 12:00 pm: Energy level seems to be returning. Having to make an effort to adjust to this lower energy level condition, but fortunately, it will only be for two more days. 5:00 pm: Energy level remained somewhat low (comparatively) and hunger was manageable. Getting used to not eating, but still struggling to accept the low energy. Hoping the fasting “high” kicks in. 12:00 am: Did some shopping and errands tonight. Functioned alright when kept hydrated, but the fatigue never fully dissipated. Hoping for a good night sleep. 6:00 am: Weight is 178. Looks like 2 pounds a day is the pattern. Slept relatively well, but for only five hours. Notably, hunger has pretty much dissipated, although the lightheadedness has returned. Curious to see how energy level fares today. 9:30 am: Feeling unusually fatigued, still. But no other symptoms. Mind is quite clear. 12:30 pm: Hunger is still MIA, thank goodness. Energy level slightly better than yesterday. Sleep deprivation may be contributing to my sense of ennui. Had some bone broth and handful of blueberries to begin introducing food back into my system. Started with a probiotic. 4pm: Surprised at how much energy has returned after having had a small amount of broth and fruit. Got a 50-minute elliptical workout in and feeling quite strong with no residual hunger. Goes to show how little food one needs to have sufficient energy to function. Fatigue is totally gone. 7pm: After another probiotic, had a two-egg vegetable omelette for dinner, accompanied by a glass of white wine. Will be gradually introducing solid foods back into my system. No adverse reaction to eating. 11:00pm: Surprisingly not sleepy, given the less than 5 hours of sleep night before. No revisit by the fatigue monster. 5:00 am: Woke up at 5am, so got about 6 hours of fitful sleep. Had two probiotics, coffee and hummus. Weight at 176.5, despite having eaten yesterday. That’s a pleasant surprise. 9am: Solid workout this AM. Body feels great. 12:00 pm: Had one probiotics capsule and a bowl of oatmeal topped with canned tuna and tomatoes. Quite satisfying. 3pm: Snacked on some nut butter w/ crackers. Didn’t take more than four crackers to feel satisfied. 6:00 pm: Poached eggs with baked sweet potato for dinner, accompanied by glass of white wine. Feeling full of energy and fully recovered from the fast. Most of the weight loss has dissipated. Because we have a very healthy lifestyle, this isn’t surprising. We have noticed that we have reduced our portions — the fasting experience was a good reminder that a little food goes a long way. It served to reboot the body’s functions. We’ve noticed a significant improvement in sleep, energy and digestion. Feeling quite affirmed by having successfully completed the experience. It’s sort of like surviving a boot camp experience, but it wasn’t as difficult as all that. https://www.sandiegocan.org/wp-content/uploads/2019/01/diet.png 200 200 mshames https://www.sandiegocan.org/wp-content/uploads/2018/07/Logo4-sm.png mshames2019-03-05 06:20:582019-03-06 08:13:21Water Fasting: Is It Good For You? COOL TIP: Home Energy Audits in San Diego ANALYSIS: CAISO is bad for California?